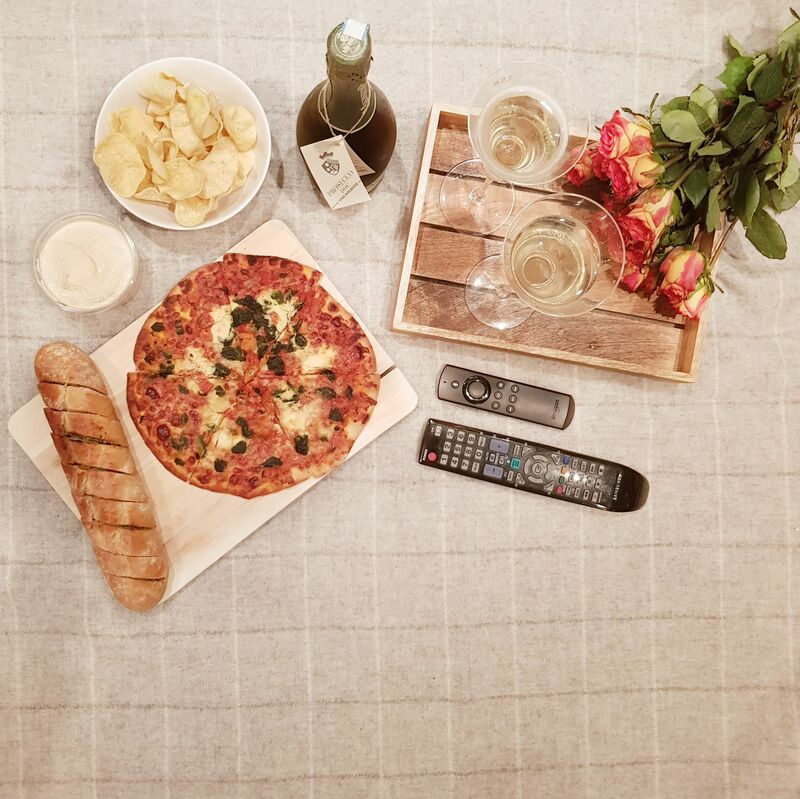 You know the type of thing I’m talking about – soft as butter, cosy AF, but doesn’t make you feel heinously embarrassed when the pizza (er, I mean salad) delivery man comes to the door? The type of thing you can get properly cosy, snuggle up, crack open the prosecco and watch rubbish TV in? Taken by The Hels Project. Well, that’s where Yawn comes in. I love all the little details – like the fact after extensive testing, and complaints of chilly necks and chests -they introduced the collar button (I love this!). Not to mention, all PJ tops and bottoms come with … POCKETS. Did you hear me? THEY COME WITH POCKETS AS STANDARD! Alice, Yawn’s founder, is amazing – and I absolutely love the three principles behind Yawn as a business! Check those out, here. 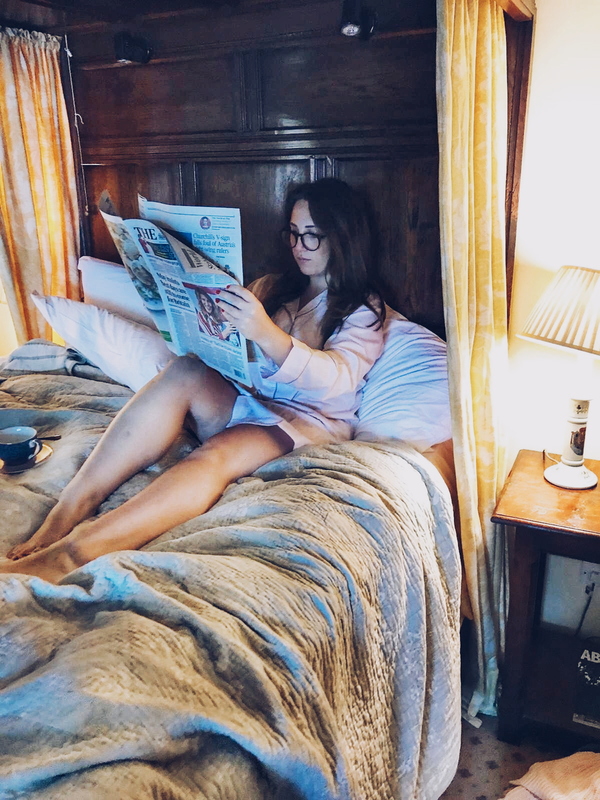 The nighty itself was so cosy – I frequently get home from work and curl straight up into it. It’s soft as anything but allows for so much movement in it (and I’m a majorly wriggly sleeper, so this was a big one for me). It’s the perfect size – I don’t feel like I look ridiculous in it, but its big enough to be cute as well as cosy, which for me, is the winning combination! Lol as if my tiny hands can realistically hold a broad sheet. (there’s a copy of Take A Break hidden behind this). 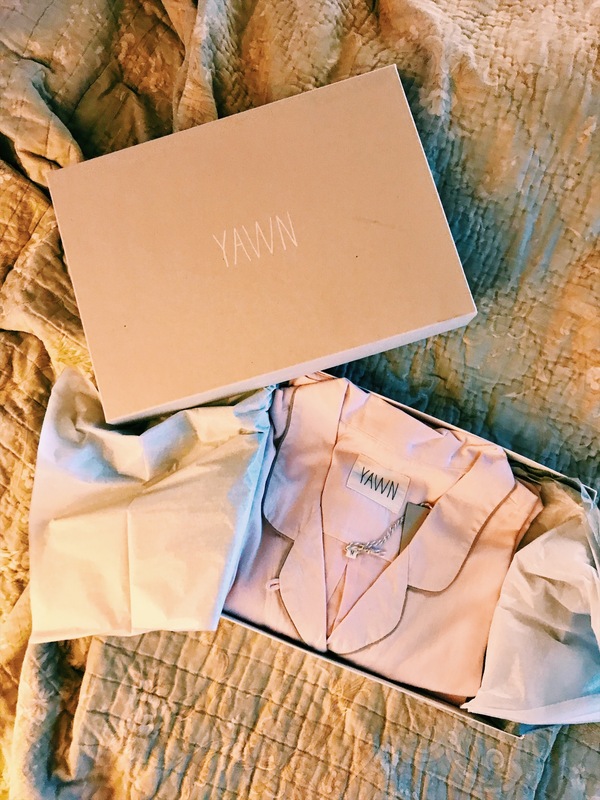 Yawn produces adorable sleepwear, and is a business with an ethos I can really get behind. They are a little bit on the pricier side, but for the level of comfort, I’d say totally worth it. Also – it comes in lovely packaging, so it makes for the perfect gift for one of your favourite people! 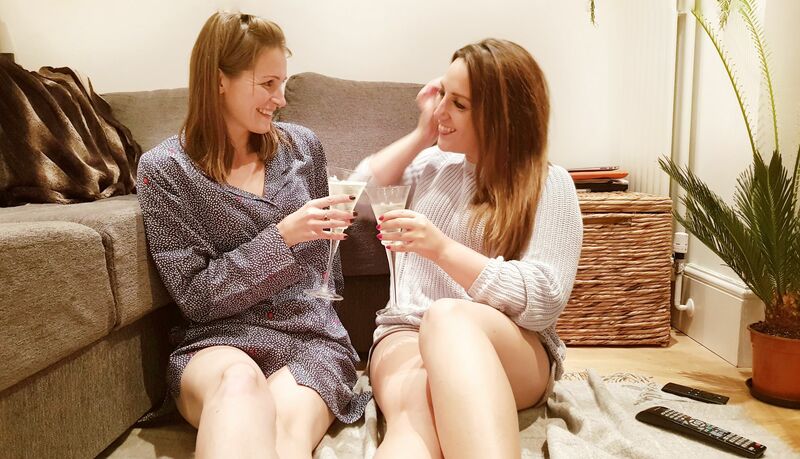 My beautiful ‘Blestie’ (blogger-bestie), also reviewed their cosy nightwear over on this post, and well – obviously she makes it super cute, but how lovely is the nighty she’s styled here?! I adore it :). Have you tried Yawn? What’s your favourite bed-time wear? *I was kindly gifted this nightshirt in exchange for an honest review. As ever, all opinions are my own. Ahh I love this post! You picked such a gorgeous nighty, I LOVE that they have pockets! 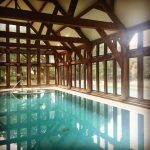 This is such a lovely review, and you look amazing in the photos! I had the best time with you at our sleepover! I love your photos! I haven’t heard of this brand but the night wear looks gorgeous and so unlike anything I’ve seen before. The pockets are a huge plus!